DigiApe Designs: New Year's Sale is on! Last Day of my killer $2 and $3 Sale!!! Did you know that my items are S4o/S4H friendly? Want to read my TOU? They are always on the sidebar! Everything! 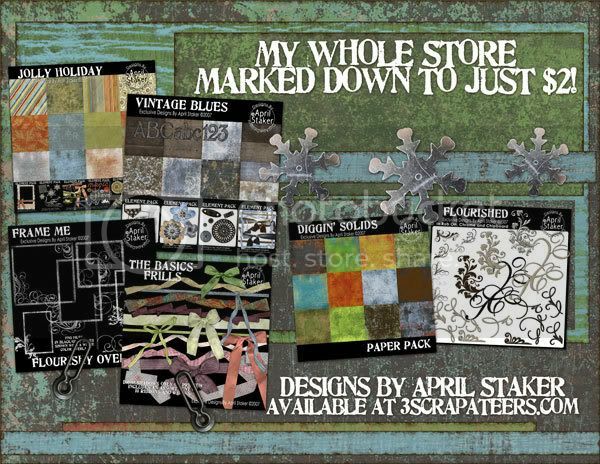 New Releases, Huge Kits, it's all marked down! I will change the prices back to normal! Just wanted to say I love a bunch of your stuff!